1 -Our topic this month is .. Unfortunately, human rights violations occur around the world. Hi teacher!Thank you for the videos, they are very helpful and eye opening to many chocking problems around the world that are in serious needs to be solved. Hello teacher! All this content has been very helpful not only for the tests but also to improve our English skills in general. I find this blog really good due to the fact that it raises our interest about what we are discussing in the class. Furthermore, the grammar exercises are very helpful as well. Thank you for managing to help us so much beyond the classroom door. Hello teacher!Thank you for providing all of the content taught in class and more. Thanks again for being so helpful. Hello teacher! Catarina and I found your blog very useful with plenty of good exercises to practice for the test and some interesting videos. Thank you for helping us, we truly appreciate it! Hello teacher! Thank you for posting some grammar exercises, it’s really helpful for the written test. Also thank you for the videos you post about the human rights, it shows the true reality of the world. Hello Teacher! I find your blog very helpful since you always post interesting videos and grammar exercises. Thank you for the availability. Keep on with the good work! Hello Teacher, the exercises that you post are very helpful for the test. This Blog is very helpful, thank you teacher you're doing a great work. I found the video of the human rights quite interesting Teacher as well as the grammar exercises which are very helpful. Regarding the video, I think it conveys a message that we all know (that human rights are for everyone and should be respected) but in a different way, which I found appealing. 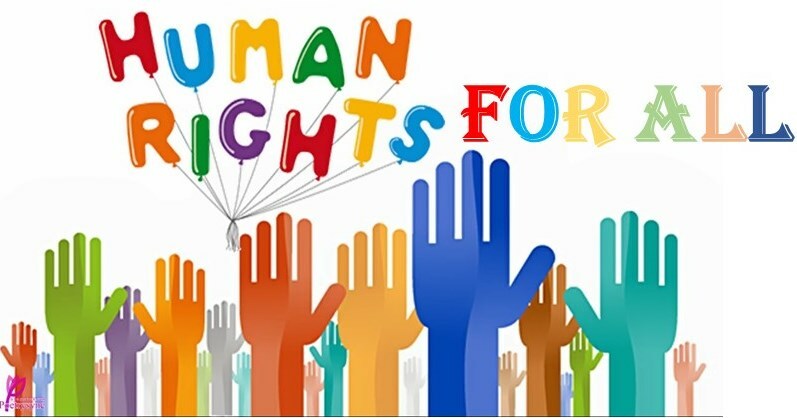 However, my opinion is that we may do something to apply these rights for everyone, instead of just watching all the atrocities happening around the world. Hi teacher, I found every single video very interesting! 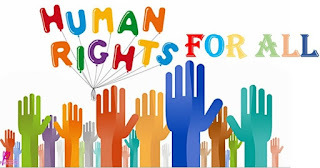 Not only because spreading the word about human rights is extremely important so that all human beings are aware of them, but also because some of the videos portraid serious problems that our world is facing right now. Sharing these videos is not the solution, but it can make people start thinking more about what surrounds us. Even though we can't reach out to everyone, we can try to make a difference. Hi teacher, I feel the need to say that I thought the video was extremely interesting and appealing in the way it was created. Although, I feel that a single video won't avoid the high number of problems we face nowadays. Still, enjoyed it a lot. Hi teacher ! I´d like to tell you that you blog is really helpful !! not only because we can improve our grammar with the exercises you post but also due to the videos concerning human rights that show us an overwhelming reality that most of us are not aware of. Thank you for all the effort you do in order to enrich our knowledge !! Hello teacher, first of all I'd like to thank you for helping us beyond our classrom. I thought the videos you posted were very insteresting and helpful because it shows us a different view of world. Once again, thank you for helping us!! Hi, this is quite nice, I didn't watch the videos yet, but have checked out most of the content as a preparation for the test. See you tomorrow! Hello teacher! I found the exercises and videos very interesting and helpful for the test I´m taking tomorrow! Thank you for your help, I look forward to see more videos and to do more exercises in your blog! Hi teacher, I think the videos and the exercices you posted were quite helpful for the test. Thank you for everything and see you tomorrow. Hi teacher! I found your content very useful. Keep up the good work! Found the human trafficking video more shocking the I expected... God please bless us all. But some helpful information btw. Like expected, good exercises, interesting and shocking videos. Hi teacher! I found the videos very mind opening and useful! The grammar exercises helped preparing for the test. Thank you for the help outside school. Hello teacher! I found the exercises and videos quite interesting and very helpful. They are perfect to practice and learn more about all subjects that we talked about in class. Please keep posting them! Thank you for the extra help! Hello teacher! Thanks for the list of phrasal verbs, it helped me a lot to prepare my self for the test. Regarding to the videos, i found them pretty shocking and it gave me some other prespectives about human rights that i was unaware. Thanks once again!